What Makes the Perfect Influencer? 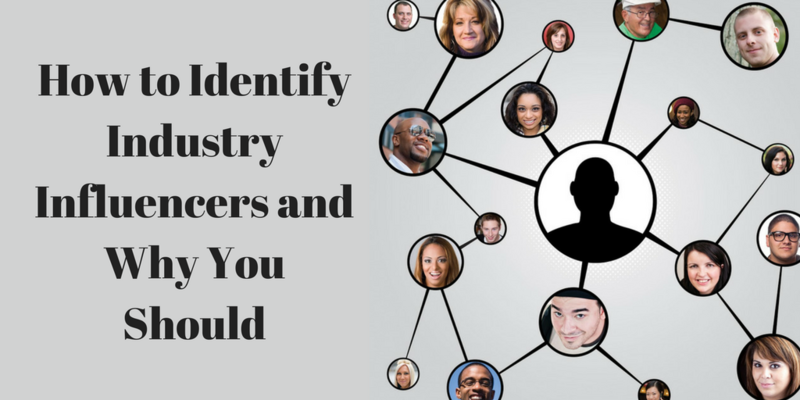 Where to Find The Perfect Influencer? The unreliability of measuring an influencer's value based on number of followers alone shifted the focus to engagement. Brands began looking for influencers who not only had a large fan base, but also had followers that were actively engaged. Scott Paul, the first speaker, works in the influencer marketing department at Disney and has also developed apps and is in the process of developing a tool that individuals and corporate brands can use to find and identify quality influencers. Calvin Wayman was up next, and is an entrepreneur who has been featured in many major business publications, interviewed on various television networks, and has recently published his first book. Scott discussed the rise of influencer marketing and where he sees it going in the future. He began by saying that the relationship between Michael Jordan and Nike would not have gone anywhere without the use of media. It was the media that broadcasted Jordan's (influencer) endorsement of Nike. He then went on to provide two personal examples about the power the right influencer has for a brand. His first example was at a start-up called Armor Active that puts wall-mounted iPads in athletic shoe stores. One day LeBron James came into one of the stores that featured Scott's iPads and a photo of James with the iPads in the background was taken. From that photo, the sales of Scott's iPad skyrocketed as athletic shoe companies began ordering the product. Another example Scott gave was for a photo sharing and liking app he created called Voto. His company paid a girl who had many Instagram followers $20 to get her friends and followers to download the app. With $20, Voto got over 500 new downloads of the app in one day. Scott mentioned that in the beginning, an influencer was measured by how many followers and fans he or she had. The problem with this was that companies and "influencers " could buy fake followers. Some individuals who made themselves out to be influencers by buying fake followers took advantage of the opportunity by charging too much for their endorsements. The unreliability of measuring an influencer's value based on number of followers alone shifted the focus to engagement. Brands began looking for influencers who not only had a large fan base, but also had followers that were actively engaged. Companies shifted their focus of finding influencers on Facebook, YouTube and Instagram. 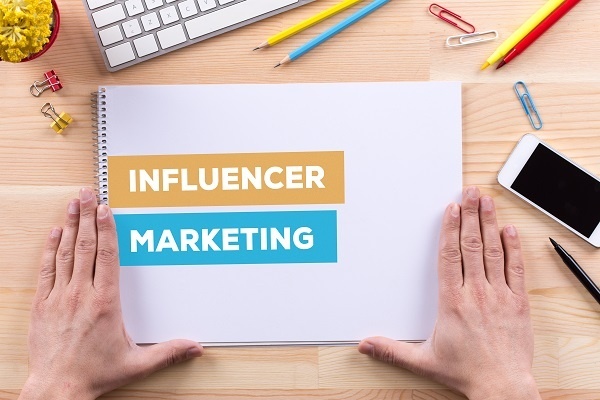 Companies soon found out that while influencers had many fans and followers who were also engaged, the content the influencer produced wasn't an appropriate match for what the brand was going for and the loyalty of the influencer couldn't be counted on. The content an influencer put out soon became the most important element brands came to look for when hiring an influencer for their products. With the rise in the use of social networks and smartphones, companies saw the need to shift their Digital marketing from being salesy and only about the company and its products to being all about the audience and consumer. Companies needed influencers who were loyal to the brand and who encapsulated their ideal audience. This will ensure that the messaging and content produced will be in line with the company's voice and appropriate to the audience they are trying to reach. With the loyalty, costs, and the great opportunity for a wrong fit between an influencer and a brand, Scott asked why marketers even bother with influencer marketing and just stick to paid advertising? His answer reiterated the importance of good content. Today's online marketing content has to put the needs and interests of the audience and customer first. While paid ads may be cheaper and is less risky than influencer marketing, it's less powerful and effective. When others see an actual person using and endorsing a product, they are more likely to try the product out for themselves. 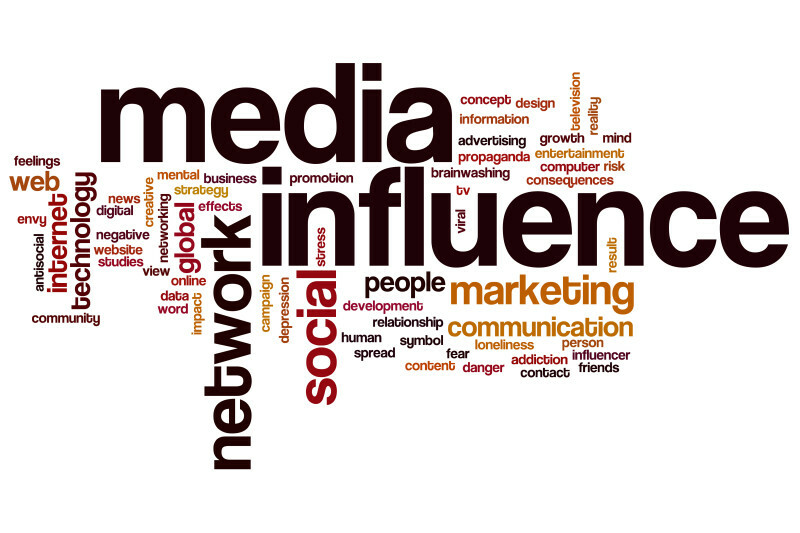 What Makes the Perfect Influencer in Digital Marketing? The perfect influencer Digital Marketing could be defined as someone who has engaged followers, a certain amount of loyalty, and an affinity toward your brand. This person will also produce content that is in alignment with the company's voice as well as the interests and beliefs of the ideal audience and consumer. Scott broke down these elements of the perfect influencer into a ven diagram where the ideal influencer is in the middle, encapsulating the following aspects: Audience, Content, Activity, Loyalty, Engagement and Reach. Scott mentioned a few tools that he uses to find the right influencers, which include Demographic Pro and Social Edge. But the most important point was that many of a company's top influencers are right under their noses, in individuals who are already customers. All a company needs to do is comb through their email lists. People who are already customers will have a loyalty to the brand, be familiar with the products, and speak effectively to the company's target audience. Scott believes that we are in the era of an influencer "peak. " The mega influencer market is becoming saturated as there is only so much content, likes, and followers. While the number of large, nationally and internationally recognized influencers will decline, Scott says the void will be filled with the growth of micro influencers. Micro influencers will be local and be largely unknown to the public. These influencers will not only be more localized in their reach, but they will be more specific in the kind of businesses they will work with. They will have a niche. The next speaker was Calvin Wayman and he talked about the 4 C's of social media success as it relates to influencer marketing. Calvin started off by asking the question "Why should we care about social media or influencer marketing? " It is because those two platforms are where everyone's attention is. A successful brand is where everyone else is at and where they will get the most attention. Specifically, Calvin states that attention is on the smartphone. Good marketers know that Digital marketing and advertising constantly change and are therefore nimble enough to adjust and shift with the changes and nuances of marketing communications, branding and advertising. To be successful, a company must constantly know where the attention is at and where it may shift next. This will also increase one's advantage over the competition. With technology constantly changing how marketing and advertising is done, Wayman cites 4 foundational marketing principles that don't change and are applicable to whatever medium marketing attention shifts to. These four foundational principles are meant for long-term Digital marketing success. Results won't be immediate, which goes against the common, modern concept of marketing. Calvin defined content as anything a company or influencer produces and puts out. Without content, your brand doesn't exist, according to Calvin. Wayman went on to mention what kind of content should be produced by personal brands and why do some companies such as Apple stand out from their competition. He explained that these brands don't stick to the normal marketing and sales script of saying "we're the best " or "our product is the best. " Instead they also include what they believe. Apple, for example uses phrases like "we believe in doing things differently " and "we believe in challenging the status quo " and then tie in the quality of their products and brand. This kind of content is successful because it speaks to the core beliefs of the targeted audience and ideal consumer. Successful brands include messaging about what they believe in to attract the ideal customer: one who supports and believes in the same thing. When you're writing content, Calvin said to ask yourself "what do you (or your company) believe in? " and to then include the answer in your content. Calvin mentioned core values and beliefs are what bring people together. If you want to attract like-minded consumers together around your brand, write according to your company's beliefs. Calvin also encouraged posting content that holds an unpopular position. He mentioned that if you're passionate about it and are fully behind this belief, it should be published. Many brands don't publish content that fully portrays what they believe and stand for. As a result of playing it safe, they end up attracting the wrong kind of customer who are the least likely to convert. To attract your ideal tribe, post what you believe in, whether it is popular. Calvin began explaining the importance of context with an example of handing out one's business card. At a business networking event, it is appropriate and even expected to discuss business opportunities and to hand out business cards. On the other hand, no one would dare enter a funeral home and walk up and down the aisle handing out one's business cards and talking about one's business with those attending a funeral service. This would be rude and inappropriate. Likewise, each social media platform is a different room, with a different feel and different expectations and context. Mass posting across social networks doesn't work. Each network has its own format, demographic and purpose. What you post on Facebook, for example is not appropriate for posting on LinkedIn. What you post on Instagram won't work well on Twitter. Wayman encourages brands to manually post to the appropriate social networks and to frame their content to match the platform. Wayman mentioned that consistent posting on social media is key in reminding people that your brand is out there. Many start-up owners and those with a personal brand typically post a few times a week. Calvin said such inconsistent posting not only takes away from one's influencer cred, but the brand will fall from people's minds. He suggests businesses post 2-3 times a day. Not only is consistent posting important, but consistency in the messaging is also vital. The content posted on social media will reflect what a company is about. Brands who want a certain image should post content that is consistent with this image. Calvin mentions that connection is the reason social media exists. Without any deep connection with the customer, the rest of a company's social media efforts will be useless. Calvin mentioned a personal example of the power of connection. A friend of his shared with him a video of two Australians having a conversation and his name came up. Though Calvin never met either of them nor has he ever been to Australia, he found out one of the men was following him on social media. Calvin responded to the man via social media thanking him for following him. Afterwards, this man went on to tell others about him and ordered dozens of his book which he then handed out in Australia. A 4 second thank you was enough of a connection to make his Australian fan a devoted, returning customer and influencer. Knowing your brand, audience and finding the right influencers are important in any company's Digital marketing efforts. The rise of the Internet has simply created new opportunities and methods to find effective influencers and make social connections with them. This is where good content and SEO come into play. Knowing your audience and writing content that is true and consistent to your brand will help your business get found more easily online. The more people find out about your business, the more authority your brand will get and the more influencers you'll find to promote your brand and products.